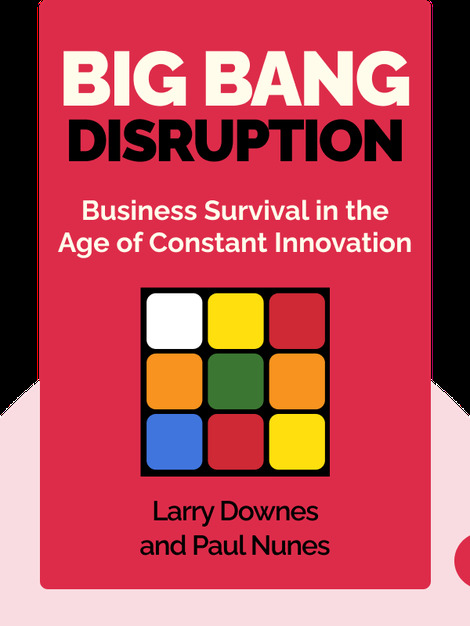 Big Bang Disruption (2014) explains how disruptive innovations are endangering many of today’s businesses, and how to keep your business alive despite these disruptions. 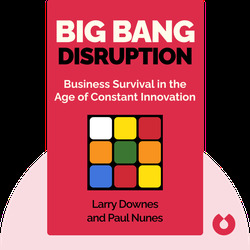 It describes the four stages of market disruption and provides 12 rules that’ll help you get through them. Larry Downes is an internet industry analyst whose columns for both Forbes and CNET discuss the effects of disruptive technology on policy and business. His other books include Unleashing the Killer App (1998) and The Laws of Disruption (2009). Paul Nunes is the global head of research at the Accenture Institute for High Performance and a senior editor at Outlook, Accenture’s journal on leadership. He’s also the author of Jumping the S-Curve (2011).